Testing can be stressful enough! In order to assist in relieving some of the stress, you should take time to review what is expected before, during and after your scheduled test. The AICPA has tutorial help files, web-based sample tests for each exam section and a video that takes viewers through the enhanced features of this software. For questions and concerns regarding the exam’s content, please review the CPA Exam sample tests frequently asked questions. Prometric offers the test takers of select exams the opportunity to take a 30-minute "dry–run" of the test center experience prior to their exam, whenever the test center has available appointments. The program, called Test Drive, allows candidates to walk through, on a practice basis, all check-in and testing procedures that occur at the test center on test day. 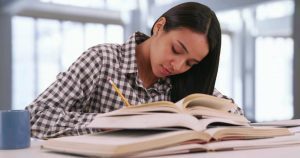 Prometric is committed to being forthcoming and transparent about what you can expect on the day of your exam in order to help minimize your anxiety and offers tips related to exam day preparation! If you have witnessed a candidate cheating on the exam, please report the situation to Prometric’s Security Department at 800-347-3781. If you have encountered problems at the test site or have questions, comments or concerns regarding the site, please contact NASBA’s Candidate Care Department at candidatecare@nasba.org. Please note that candidates who require special accommodations during the administration of the Uniform CPA Examination should submit the Request for Special Accommodations application along with the appropriate documentation.